Unbelievable. In less than 2 years I have now sold 11,000 books, and given away more than 75,000 more. 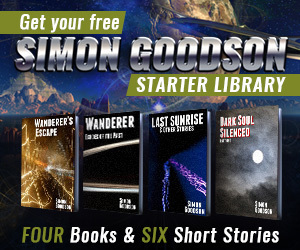 Those numbers are simply incredible, and that’s with just six books out – and three of them available for free. It’s even more surprising because I thought the sales were getting close to 10,000 before I spotted a bug in the program I use to keep track of sales which made it miss most non-amazon sales. Once I fixed the problem the sales jumped up to their correct number. Well, it’s not like I work in IT as my day job is it? So thank you to everyone who’s helped me reach this point, whether by helping with the books or buying them, and I can’t wait to see where things go from here.